The fiercely independent people who fought blacks, British, and wilderness to give South Africa much of its character. BOER, bōōr (Dutch boer, farmer, Ger. Bauer, peasant, Eng. boor, husbandman, rustic). 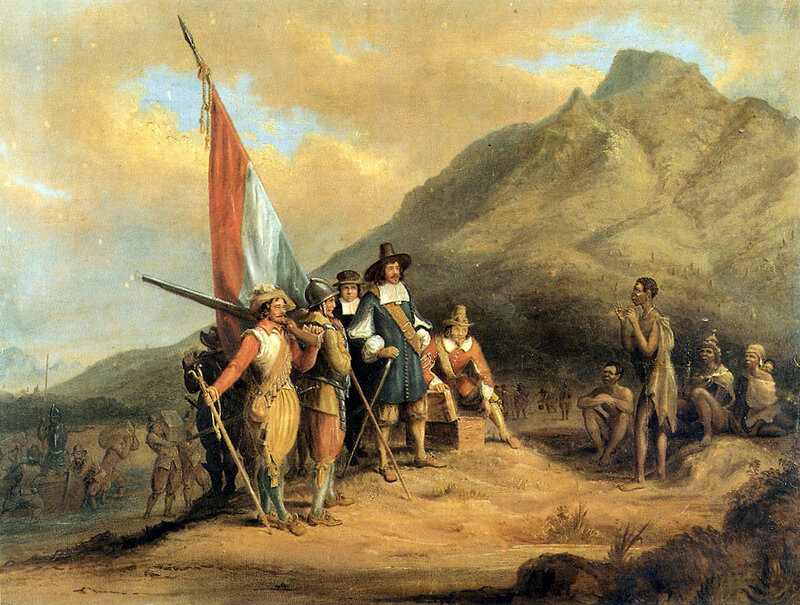 The name given to the Dutch inhabitants of South Africa who are descended from the original settlers of Cape Colony. Separated for centuries from the rest of the world, these people, in their rude pioneer life, preserved their belief in the stern tenets of early Calvinism, a belief which colored their whole life. When, in 1814, Cape Colony was ceded by Holland to England, the English administrators failed entirely to understand the people with whom they had to deal, and they increased the hostility which the Dutch naturally felt for the English by their drastic legislation against practices which were a part of the religion as well as the life of these simple people, possessing many of the faults as well as many of the virtues of a primitive state of society. As a result there was a series of treks or emigrations, by which the more determined Boers sought to free themselves from British control. The first considerable movement of this kind was the 'great trek' of 1836. The Boers at first attempted to establish themselves in Natal, but they came into collision with the native Kaffirs, who were under British protection, and when Natal became an English colony they removed beyond the Drakenberg Mountains, taking possession of an extensive region on both sides of the Vaal, the principal affluent of the Orange River. Here they founded two states, the Transvaal or South African Republic, in the north, and the Orange Free State in the south. The Boers believed in their right to enslave the natives, and the abolition of slavery under English rule was one of the grievances that led to the trek. This attitude of the Boers won them the hatred of the native peoples. The Sand River Convention of 1852 between commissioners for the Cape Government and for the Boers gave autonomy to the Transvaal, with a reservation against the practice of slavery. The convention of Bloemfontein two years later brought the Orange Free State into being. The Boers have continued to be, for the most part, farmers clinging with the utmost conservatism to their antiquated religious ideas and their primitive mode of life. Their tenacity of purpose and stubborn independence in opposition to the British power in South Africa have won respect for the rugged virtues of their character, although the rudeness of the mass of this people seems to separate them from modern currents of life. The original roughness of the Boer character, however, has been greatly modified in the towns and among those Afrikanders who remained in the more cosmopolitan Cape Colony.